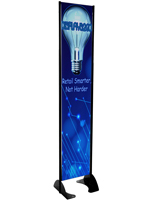 This 18” x 72” black permanent banner stand is the perfect way to bring your advertising strategy outdoors for everyone to see! 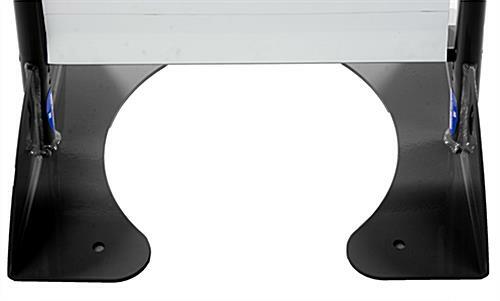 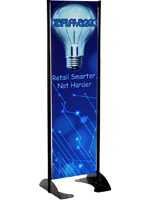 The 100% aluminum base holds a double sided sign for displaying your custom graphics or artwork. 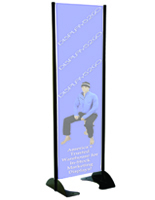 This mountable banner stand can be bolted into durable surfaces like cement, wood and metal for steadfast placement. 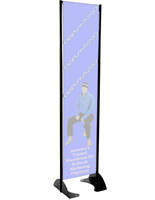 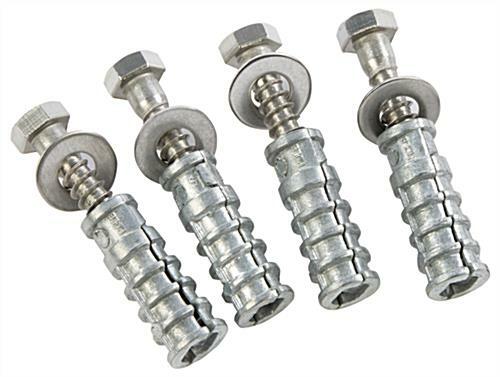 A spring loaded tension rod lets you interchange your sign whenever necessary. 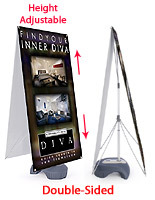 Submit your own graphics or artwork below through our downloadable template. 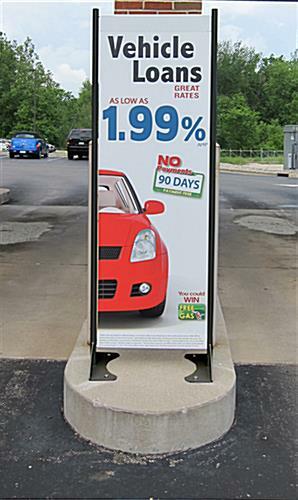 Though durable and mountable outdoors, each advertising fixture can also be used inside as a free-standing marketing fixture. 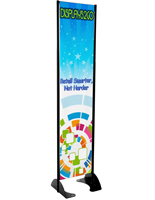 Perfect for tradeshows, expos, or retail spaces, the banner stand comes with a double-sided custom printed flag to give your ads a 3-D edge over competitors and also allows you to deliver your message with twice the impact.